Well, with a hairstyle like this you will not have a look of retired grandma. 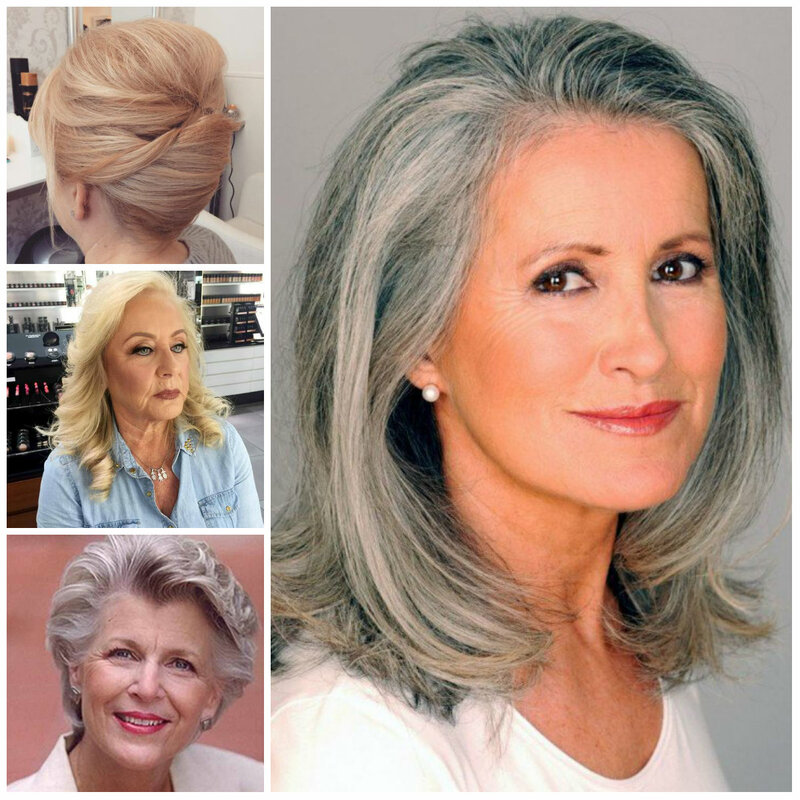 Tousled platinum blonde locks take several years out of her face while giving her younger look. If you have a young spirit and the age is just numbers for you then this hairstyle is definitely for you. Recreate it and you will rock. The low knot can be created by everyone since you just need to pull your strands back and twist them into a low knot. Bobby pins will come in handy to keep your knot in the place. However don’t forget to leave a few strands falling down around the face to look super stunning. It is an excellent hairstyle for ladies who don’t want to hide their infidelity behind the office dress code. 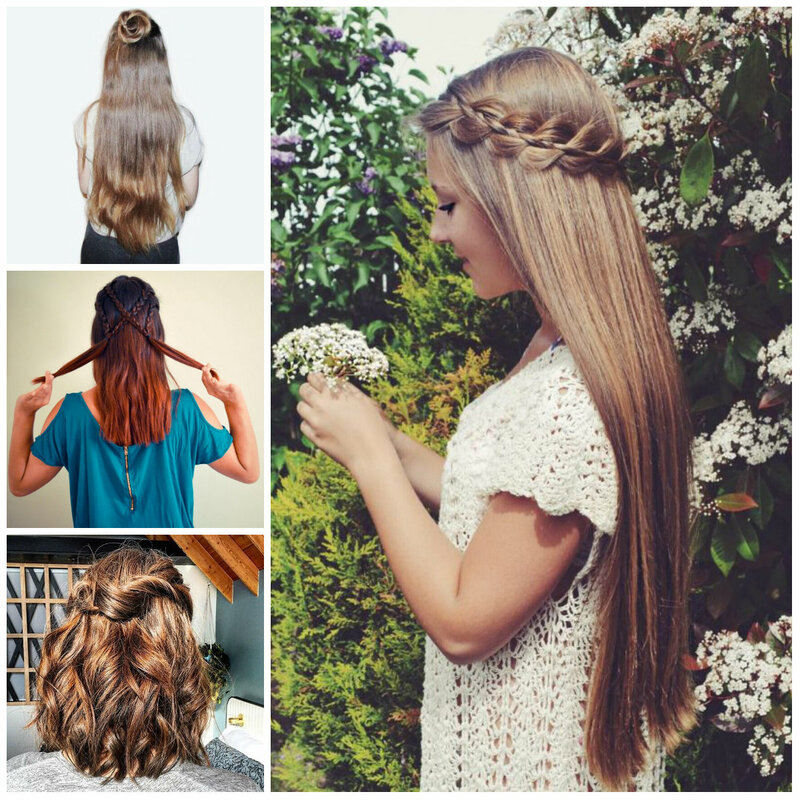 When you want to achieve a sophisticated hairstyle, you should consider combining different types of braids. 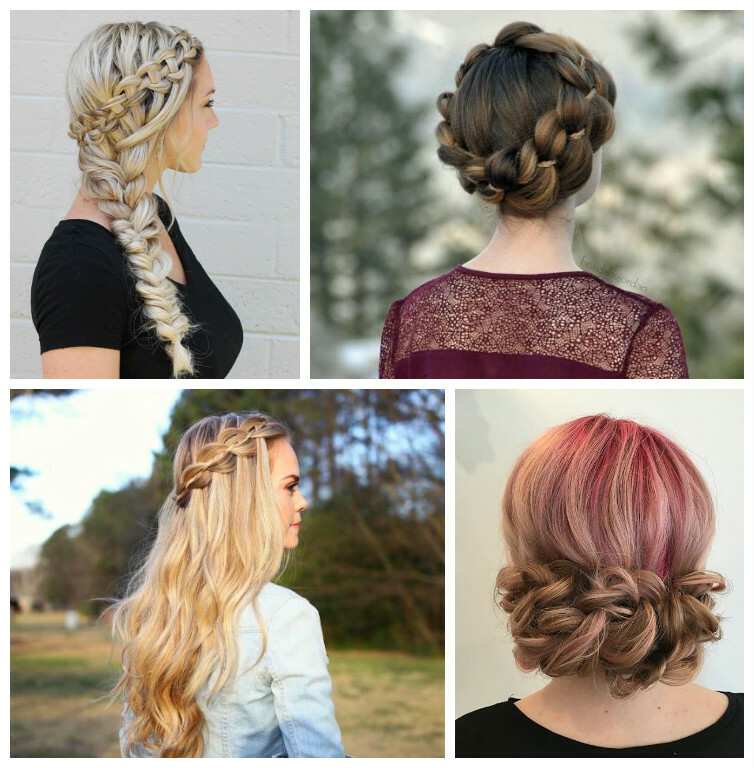 This hairstyle is all about braids and it is a pretty complicated style to create. Here there is also a waterfall braid and fishtail braid. 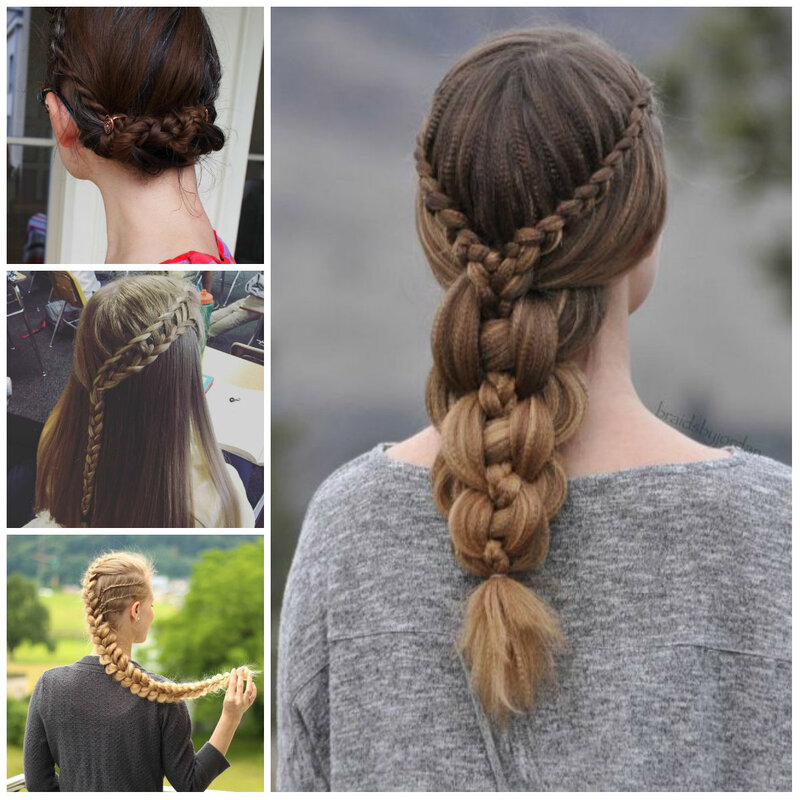 Well, this hairstyle requires skilful hands, so if you are good at braiding, just go ahead. This is the most popular way of rocking a lace braid. To recreate this particular style you will need to use two different braiding techniques. This style is all about your braiding skills but you will definitely need your friend’s help. The rest of strands are kept straight to accentuate the elegant plaits and add contrasting appeal to the style. Some females prefer to wear a simple hairstyle even on their Big Day. 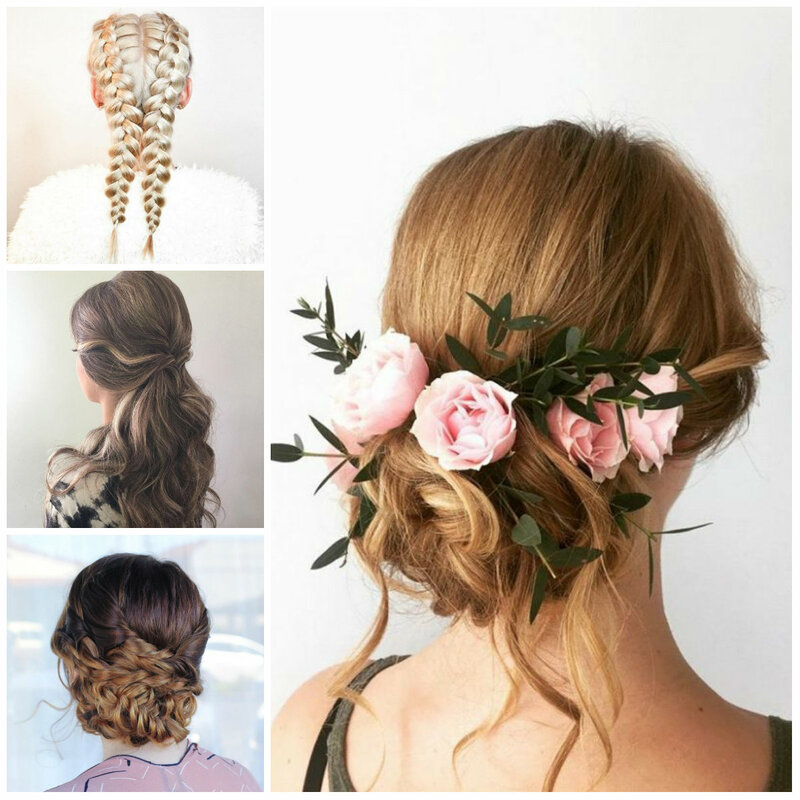 The beauty of this style comes from a simple bun that has been braided before would be secured into a bun. It is pretty messy and looks absolutely gorgeous with a floral crown that reminds us of hot summer days. Keep in your mind that this bun is more flattering when you leave some strands at the front. Here is an excellent option for ladies that are blessed with lots of length and volume. It is an elegant half updo style that entails sweeping the strands at the back to create an effortless knot. The rest of strands let to fall gently on the back. 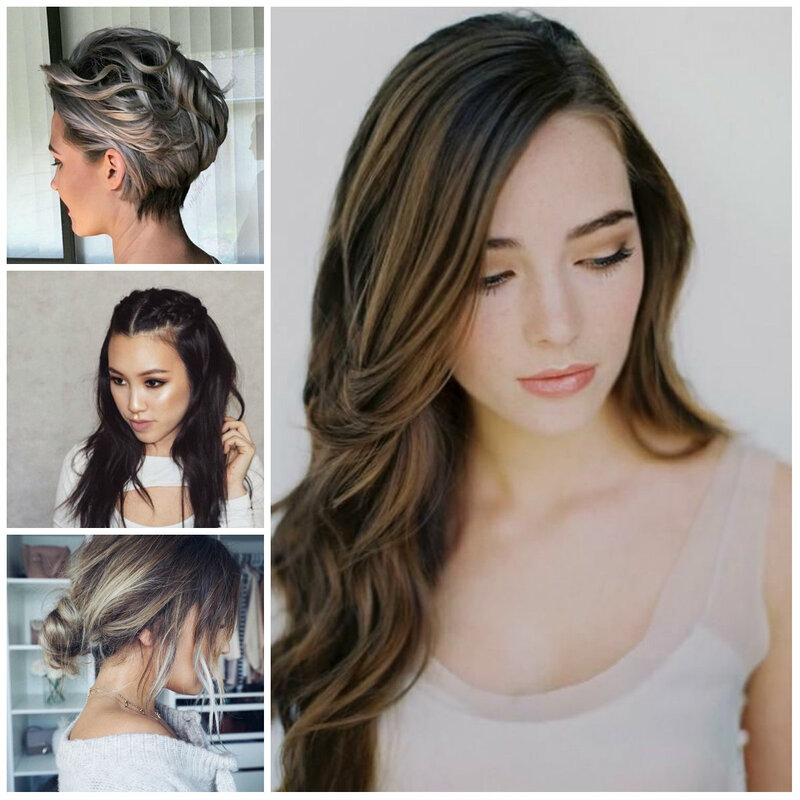 Apart from the updo design, these locks also have ash blonde color with balayage highlights of grey. Everything can be inspiring for your hairstyle and you just need to enhance it with some patterns and interesting elements. This particular half up half down hairstyle requires plaiting some crisscrossing braids and joining them in a pigtail design. This particular design works well for women with medium-length hair. The color is bonus since it will give an extra pop to your strands. 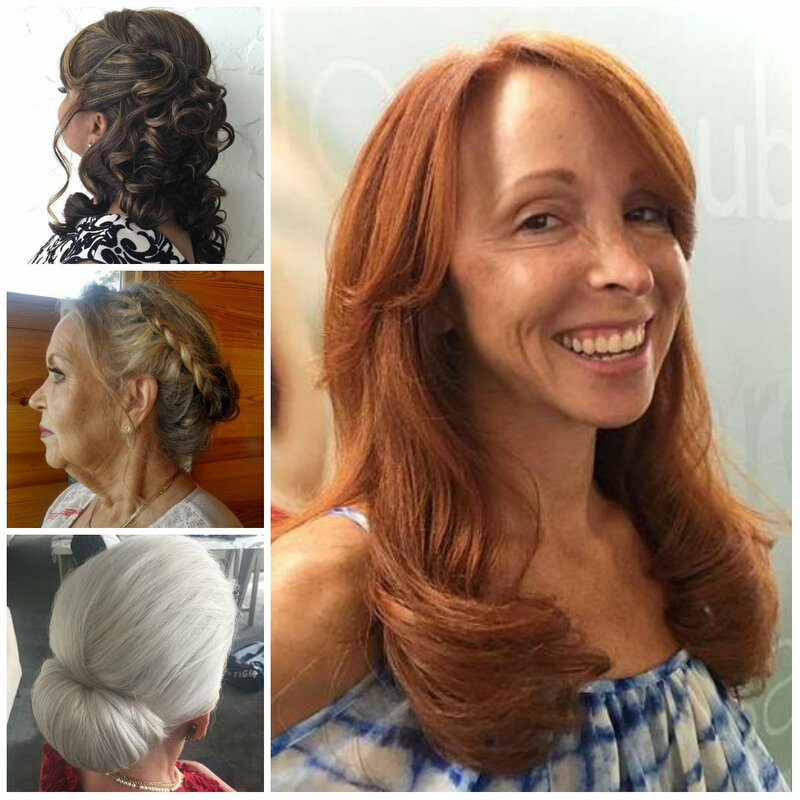 Loose updo is one of the cutest and timeless retro inspired hairdos that are fantastic for formal occasions. This classic updo has a side-parted finger wave on the front. Note that it looks like a faux bob and it can be an excellent option for ladies who want to wear medium-length asymmetrical bob but they are afraid to chop off their strands. You may enhance the look of this hairstyle with an appropriated headband. 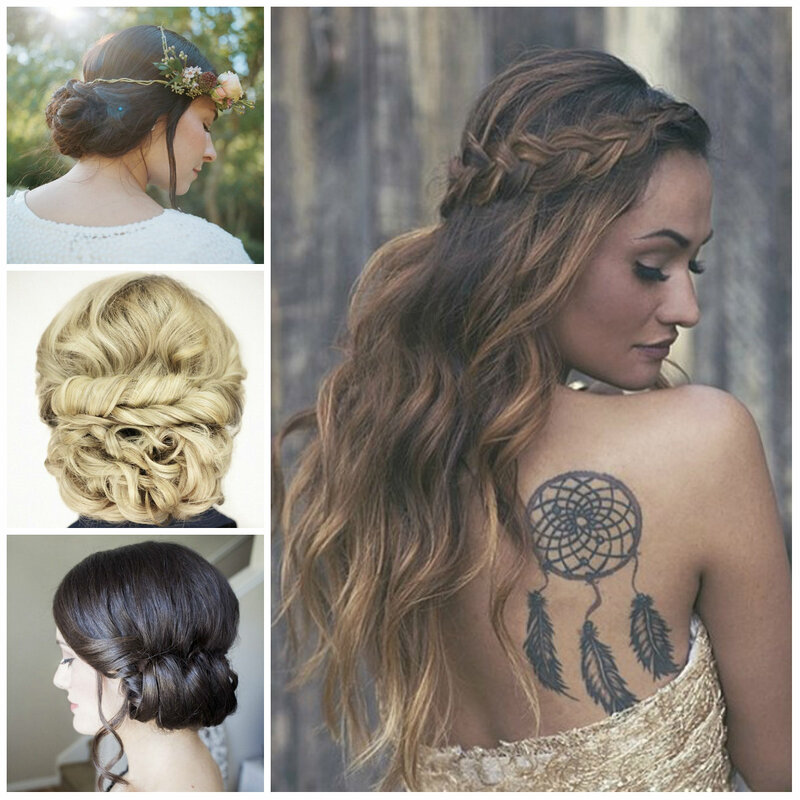 Half updos are incredible because they can be worn both casually and formally. When you go office and then have to attend an event, you should definitely consider this option. Subtle curls work better with a style like this because they will not look flat. Anyway be generous about bobby pins and use a special hair spray that will help you to keep your updo in its place. 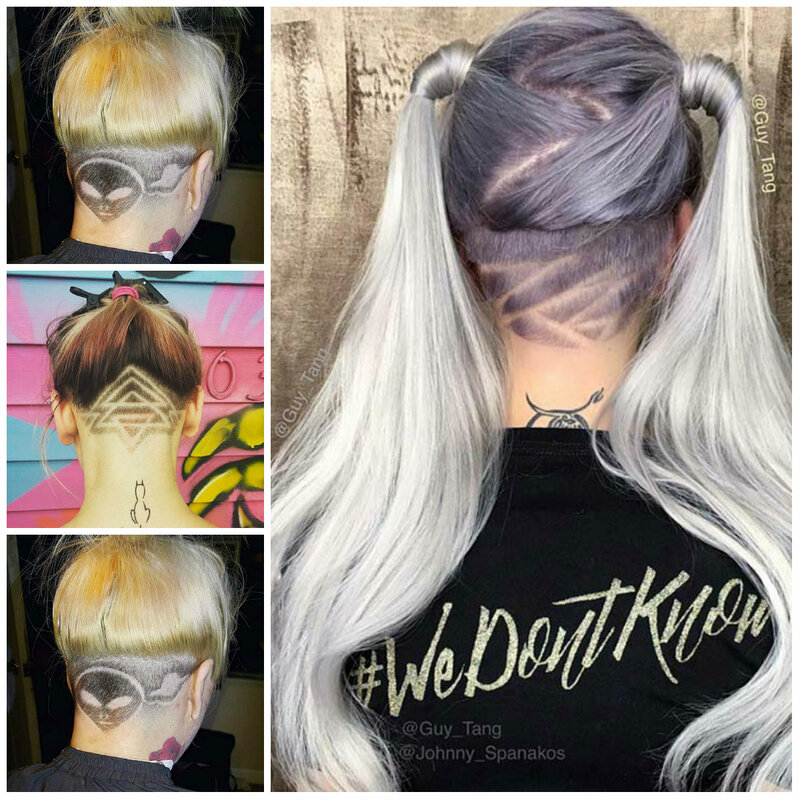 The beauty of this cut comes from shaving the side and creating a stunning side tattoo. It is quite lovely style that looks incredible when paired with a top bun. Anyway it takes some courage to pull off a headdress like this one. Not everywhere you will see a girl with a shaved side and a hair tattoo. You will definitely make a bold statement. If that’s what you are looking for then go ahead.